For many of us, November signals the start of the busy holiday season. Between meal planning, gift shopping, and family events, it can be easy to get caught up in the hustle and bustle of the season. This year, why not take some time out of your schedule to give back? 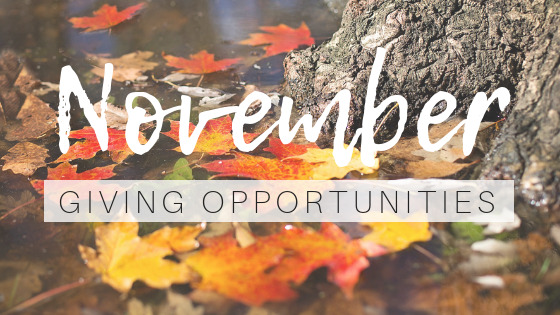 We've put together a list of some of our favorite volunteer opportunities in the Bozeman area taking place this month. Read on to get some ideas of ways you can make a difference. The 19th annual Can the Griz food drive, an off-field competition between Montana State University and the University of Montana to see which school can collect the most donations for its local county food bank, begins Saturday, November 3rd. The competition ends November 17th. The winner of the competition will be announced later that day. Can the Griz proceeds go to the Gallatin Valley Food Bank and benefits Bounty of the Bridgers: A Food Resource Council at MSU. The Bobcats have successfully canned the Griz 15 of 18 years! Coldwell Banker Distinctive Properties is proud to be an official drop-off location for this year's "Can the Griz" food drive! 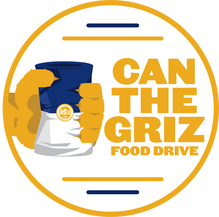 Bring in your non-perishable food donations between November 4th and 18th and help us to "Can the Griz"! Last year, MSU and the Bozeman community donated a record 257,336 pounds of food plus approximately $131,757 to the Gallatin Valley Food Bank. The University of Montana and Missoula community also raised a record amount for the Missoula community's local food bank. Donations from UM and the Missoula community totaled 252,038 pounds of food plus $139,008. Help us win this off-field match-up for the 16th time by bringing in your donations to our office, or any other drop-off location, listed here. The Warming Center has a simple mission: they believe everyone deserves a warm, safe place to sleep during the coldest months of the year. The Warming Center offers seasonal shelter to anyone in need- families with children, single adults, and couples are welcome. Separate sleeping areas are provided. Trained staff and volunteers are on-site at all times during operating hours. The Warming Center is located at 2104 Industrial Drive in Bozeman (corner of Griffin and Industrial). The Center is open 7 pm—7 am 7 days per week during the winter months. Check-in is from 7-11 pm. Created in partnership with the Greater Gallatin Homeless Action Coalition, the Warming Center is a part of HRDC’s Housing First Program and has been a part of our community since 2010. Volunteers are vital to the success of the Warming Center that opens annually from November to March. The center is open from 7 PM to 7 AM, and many different evening, late night, and morning shifts are available to provide support to staff in greeting guests, assigning bedding and storage lockers to guests, cleaning the facility, and doing laundry. Because the Warming Center is 100% community funded, volunteer time makes it possible to provide a warm, safe place for our neighbors in need! If you are interested in volunteer opportunities at the Warming Center, find out more here. Gearing up for their 12th consecutive year, the Huffing for Stuffing Thanksgiving Day Run aims to support the Gallatin Valley Food Bank through the winter months when the need for food increases substantially. Huffing for stuffing offers volunteer opportunities for all age ranges and abilities, including a 10K, and timed and untimed 5K, and a kids fun run. For those wanting to participate without running, Huffing for Stuffing has an array of volunteer opportunities both before and during the race. Last year, 177 volunteers donated over 416 hours to make the race a success. To find out how you can help, click here. Do you have some other favorite community involvement activities? Let us know in the comments!